The coloring in the Blue Flourite tumbled healing gemstones ranges from pale to deep blue. They are fairly clear with a nice polished finish. Medium Size: most are about 3/4". Fluorite aids in structuring our own life and enables us to find the systems that are stable but still dynamic. Basically it encourages us to be creative and inventive with the dominant theme of free decision making. Releases tears, helps to express withheld grief and fear and assists us in asking others for help, healing and comfort. Blue Fluorite can be formed in primary, secondary or even tertiary processes. The largest amounts come to us from magmatic origins where Blue Fluorite arises as a component of acid magmatic rocks or in passages and clefts. It is more rare for it to be formed in a secondary process through the action of fluoric acid that is released during the weathering of calcium bearing rock. The spiritual effect of Blue Fluorite is felt most through meditating with clearly banded pieces. To achieve a sense of order, place a grouping of pieces in your environment. Fluorite can also be laid or worn directly on the body for beneficial effects. Blue Fluorite stimulates the free spirit that would like to determine and shape their own life. It brings us awareness of the times we are being influenced or controlled by outside elements and helps us quickly dissolve those undesirable situations. Blue Fluorite aids in structuring our own life and enables us to find the systems that are stable but still dynamic. Basically it encourages us to be creative and inventive with the dominant theme of free decision making. Blue Fluorite helps to dissolve blocks, fixed ideas, narrow mindedness and constricted thought and behavior patterns. It also aids with the organization and rapid processing of information. It is an excellent learning aid in that it enables us to cross reference what we know to become more aware of things that have not yet been understood conceptually. 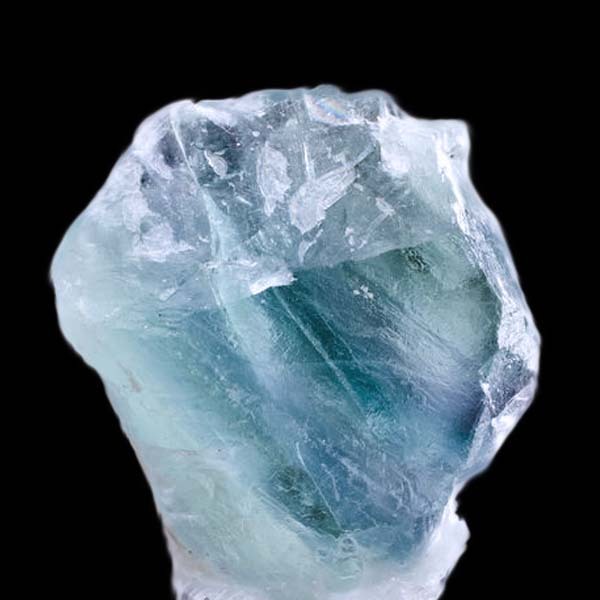 Fluorite stimulates rapid absorption of information and quick thinking. 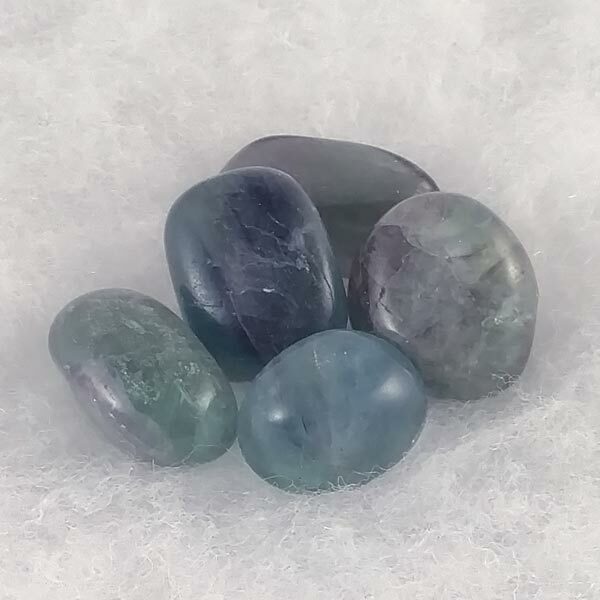 Blue Fluorite stimulates the regeneration of the skin and mucus membranes, particularly in the respiratory tract and lungs, and helps with ulcers and suppurating wounds. It fortifies bones and teeth, decreases adhesions and helps with posture problems. Fluorite aids our physical mobility by improving stiffness and joint problems, including cases of arthritis (inflammation of the joints). The activity of the nervous system, particularly the cerebrum, are encouraged and psychosomatic allergies are alleviated. Many healers use Fluorite to strengthen the effects of other stones they use in the healing process. Blue Fluorite has a special affinity with Pisces. Its Energy is Projective and its Element is Water. It compliments the professions of dentistry, scientists, surgeons and natural healers. Blue Fluorite does not have a long history of magickal uses. It had been known as fluorospar since the 18th century, and was not recognized earlier than that as a separate mineral but instead, belonged to the family of 'spars' (a general term for minerals that break into leaves). Fluorite, like many colored glasses and quartzes, can be used to produce imitation gems. It is for this reason that the old names of 'ruby glass' and 'topaz glass' could actually be referring to Fluorite, but evidence and sampling is still being documented proving that theory.